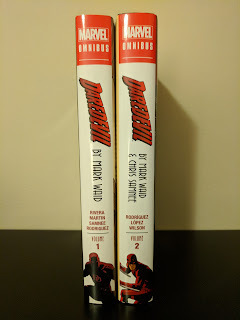 Daredevil by Mark Waid & Chris Samnee Omnibus Vol. 2 - Collecting Daredevil (2011) #28-36, Daredevil (2014) #0.1-18, and Indestructible Hulk (2013) #9-10. Those who know me or follow this blog are probably wondering "Why on Earth did it take Tim this long to get a review for this book written? It's been out for almost a month already!" Well, there was a bit of a delay in my receiving my copy as the first one arrived with a production defect (the top front edge of the dust jacket was torn/bent under the shrink wrap). Fortunately, the customer service department at In Stock Trades is wonderful and I was able to get a replacement. Unfortunately, I had to wait for my damaged copy to be returned before the replacement shipped. About two weeks after my original order was placed, I finally had my copy in hand and then of course I needed time to re-read it! 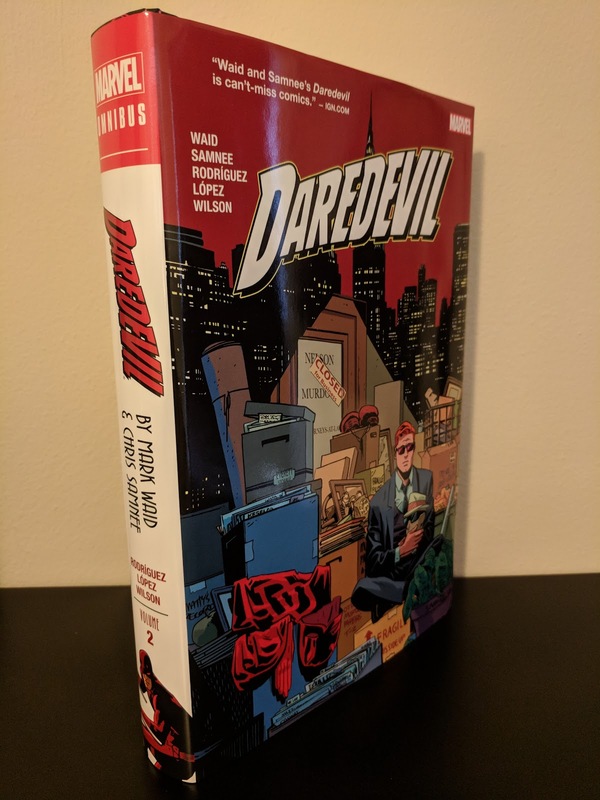 This volume collects the second half of Mark Waid's run on Daredevil. 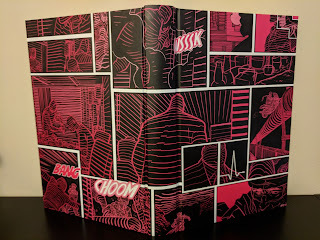 At this point in the run, Chris Samnee had firmly entrenched himself as the primary artist on the title, so much so that he was also receiving a 'Storyteller' credit along with Waid due to their fantastically collaborative relationship (this is why he is credited in this volume's title, where he was not on Volume 1). Javier Rodriguez, who was primarily the colorist for this run (up until issue eight of the 2014 relaunch when Matthew Wilson took over), fills in admirably on penciling duties for a handful of issues and Matteo Scalera takes the reigns on the two also-Waid-written issues of Indestructible Hulk (collected here due to a team-up of sorts with Daredevil). 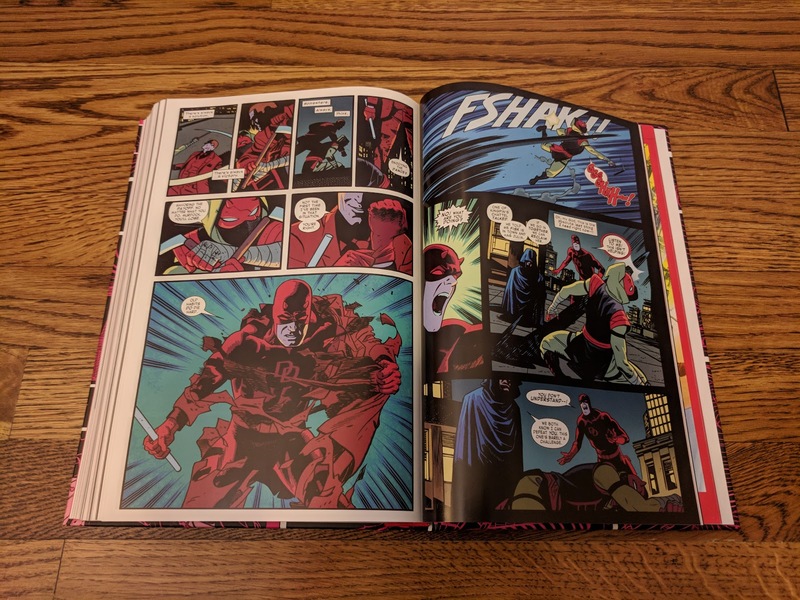 Waid and Samnee string together a number of two to three issue arcs, allowing them to change directions frequently to keep the reader engaged, while at the same time building on their overall narrative. The over-arching light-hearted tone of Waid's run is continued here primarily thanks to the visual stylings of Samnee, Rodriguez, and Wilson. It really is a great balance for the title because the scripts continue to tackle some heavy material: battling Cancer, absentee parents, and depression. It's no secret that Waid set out to break Matt Murdock out of the down and dirty, crime-noir genre that his stories had been dominated by for years, but make no mistake, the themes he writes about are not all corny, Silver Age fluff (even if he manages to employ a number of villains from Daredevil's earliest days). 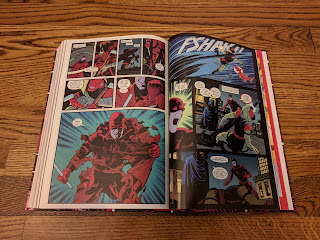 Not only do we see some classically ridiculous villains put to use in an organic and actually threatening way, Waid moves Matt from Hell's Kitchen to San Francisco (where he had previously adventured with Black Widow back in the early '70s). On top of that, he penned what may be the best, big event tie-in story that I've ever read: the two issue Original Sin tie-in that tells the story of why Matt's mother left he and his father when he was a baby. It's the kind of story that you worry about as a comic fan as it ret-cons classic character history, but it is so well done and fits so well - not only with DD history, but within Waid's run as well - that it really stands out. 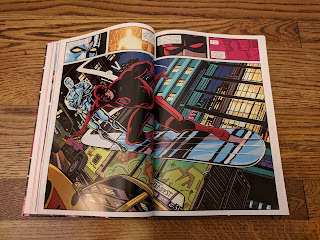 This collection also shows Samnee finally getting the opportunity to draw classic DD characters such as Elektra and the Kingpin. 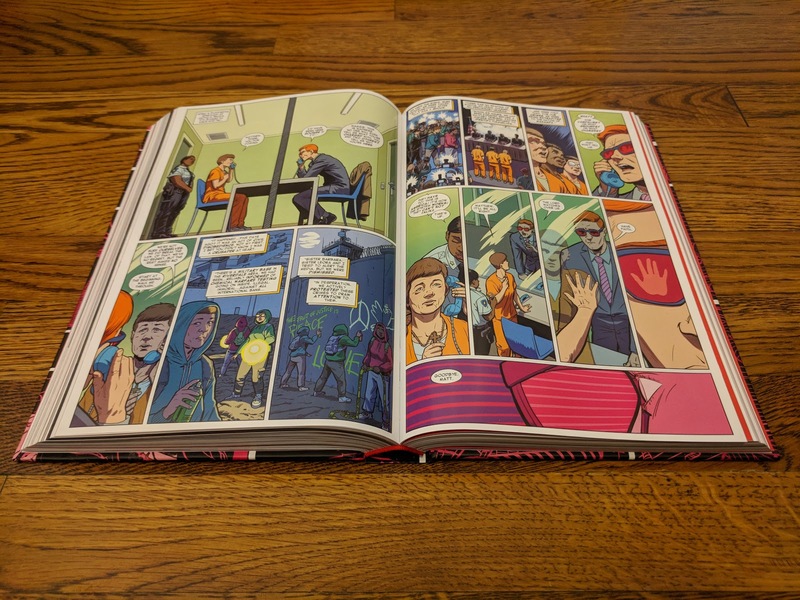 As a collected edition goes, Volume 2 is a gorgeous companion to Volume 1. 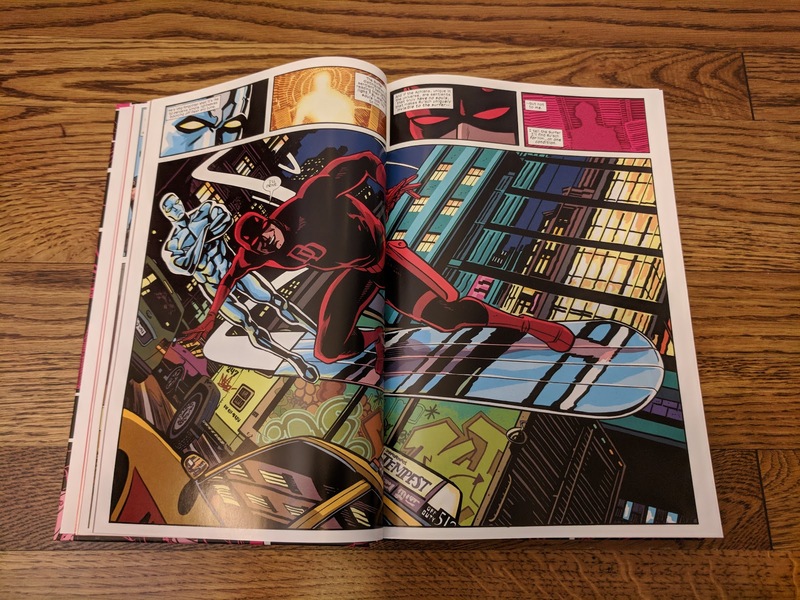 There aren't quite as many extras here as in the previous volume, but it does include the farewell letter from Waid, Samnee, Wilson and series letterer Joe Caramagna, variant covers from this half of the run, and some process pages of Samnee's layouts and inks. 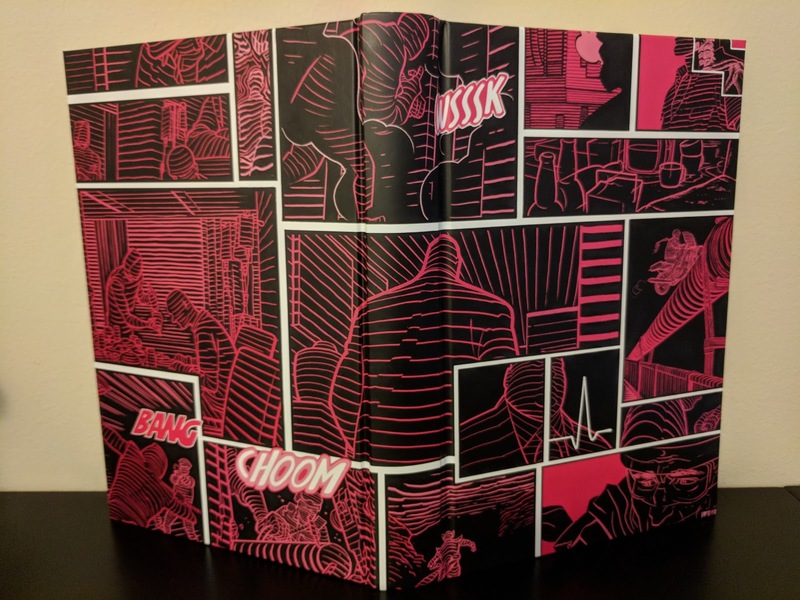 The graphic cover under the dust jacket is a series of radar-sense-view panels, which provides nice continuity with Volume 1. I did re-read the Volume 1 Omnibus in preparation for this volume and Waid's entire run on Daredevil is really pretty brilliant. 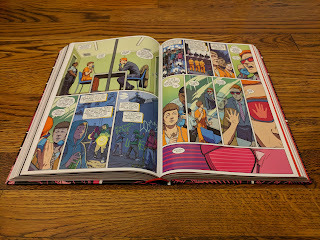 He proved that DD stories didn't have to be super dark and gritty in order to be entertaining and compelling. While I love that crime-noir feel that Frank Miller first injected into the title, Waid's run rates right up there with Miller's as the most groundbreaking work on Matt Murdock and his supporting cast in my opinion and is absolutely worthy of a spot on your shelf.